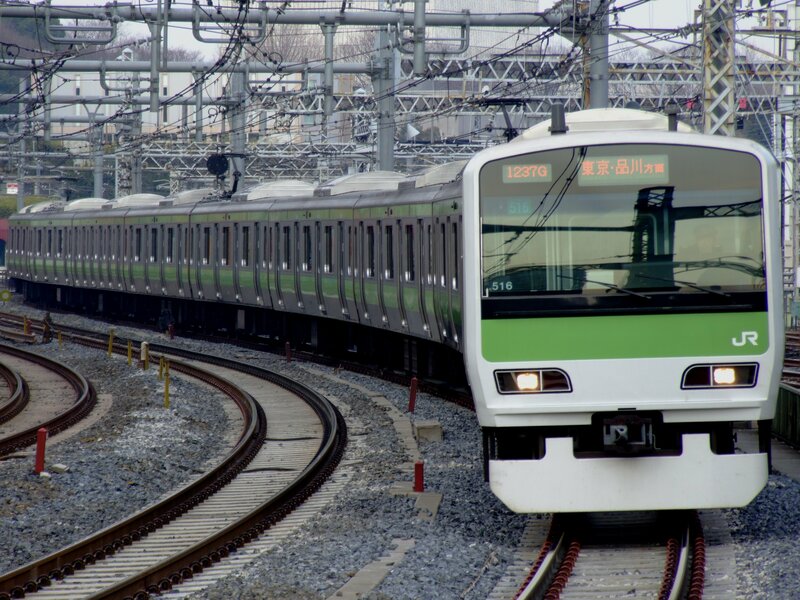 The Yamanote Line is a heavy rail line in Tokyo, Japan. The system began operations in the year 1885 and has two tracks over which it serves 29 stations. The total track length is 34.5 km (21.4 miles). The metro passes through major city centers and is a circular line. The system is operated by JR East. As per 2010 statistics, the system had an average daily ridership of 3,725,247 passengers. Map of Yamanote Line showing various stations. Click on the map to enlarge it or Download PDF. The rail service starts operations from around 4:30 am and runs until 1:30 am the next day. The frequency between trains is 2.5 minutes during peak hours and 4 minutes during the remaining day. Two types of fares can be used on JR lines. One is IC fare and the other is ticket and commuter pass fare. The fares are distance based. The minimum fare is 130 yen which covers three stations from the starting station from the ticket is purchased. In order to travel on all JR lines within Tokyo, the riders can purchase a free kippu day pass for 730 yen. This pass costs 1460 yen, if the riders wish to use all JR lines, subway, buses, trams and streetcars within Tokyo. All stations are equipped with large guide maps to help the passengers find route information. Fair adjustments can be done at the fair adjustment machines, in case the distance travelled is more than the fair paid or if the riders wish to extend the journey. The tickets need to be validated at the fare gates. 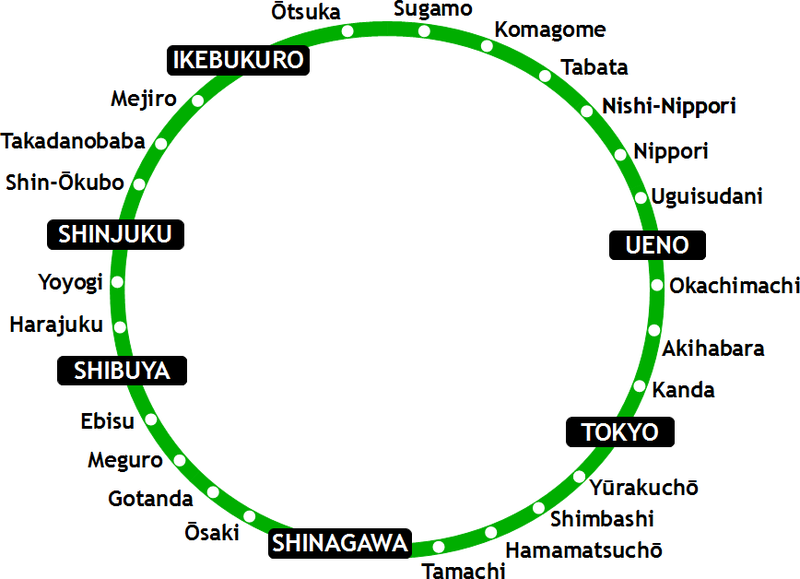 All the trains officially start and terminate at Osaki and the circular line connects Tokyo’s major city centres. The train starts and end service at Shinagawa. All the trains running through Yamanote line are local trains and they stop at all stations. The line is coloured green and it goes round and round. The line is stretch of track from Shinagawa to Tabata through Shinjuku. The eastern side of the loop is part of Tohoku and Tokaido lines. The trains that run clockwise is known as Sotomawari and those run counter clockwise is known as Uchi-mawari. Some stations offer park and ride facilities to train passengers.